According to Newzoo, the global games market will reach almost 109 billion dollars by the end of 2017. University programs that train future game developers also grow in number. The Russian games market is expected to reach 1.4 billion by the end of this year, say Newzoo. However there are still very few game development programs in Russia. Where and how can one learn the subject and can universities train developers and managers at an acceptable level? This was the topic of a panel discussion at the GameDev Meetup organized by GameBeets community. 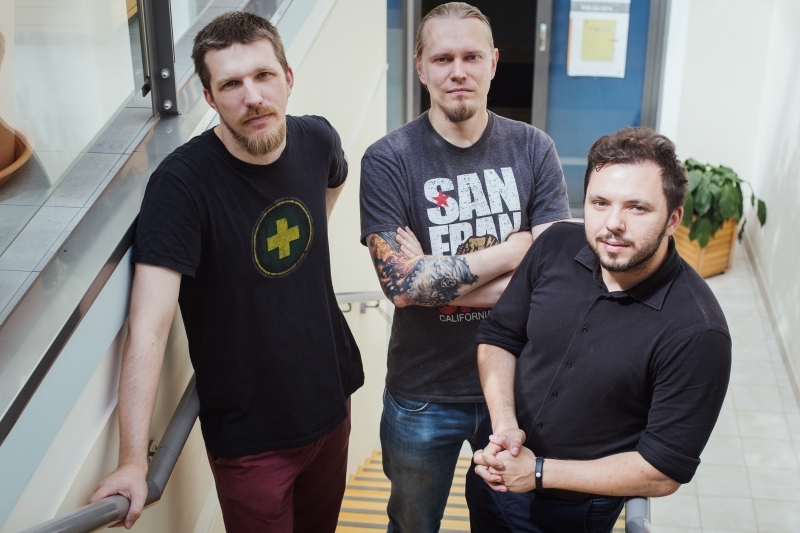 The event’s organizers and speakers spoke with ITMO.NEWS about the future of game development in higher education, talent shortage, market needs and the reasons why neural networks can’t replace humans – at least for now. What prompted you to have a panel discussion on game development education? 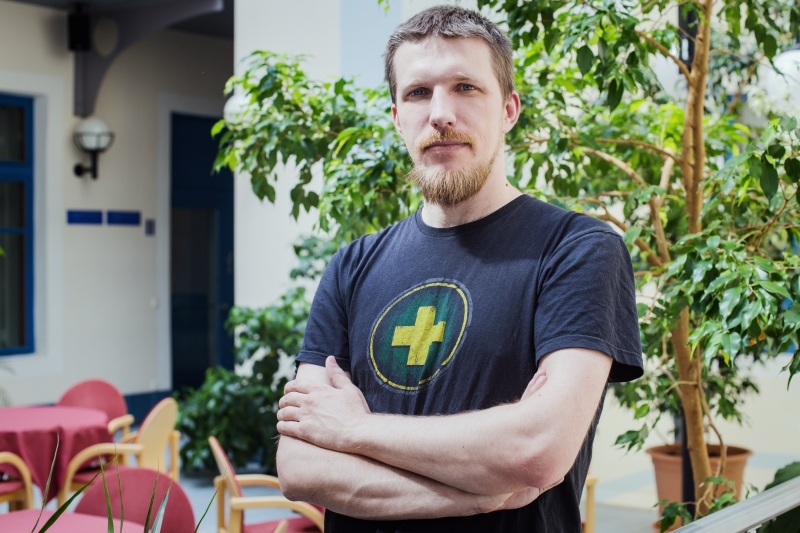 Alexander Mezin, independent developer, often organizes events for game developers: The idea for a panel discussion on game development education came to us back in spring when we visited ITMO University’s Game Worlds program. It was clear that this was a topic that interested a lot of people. Besides, education has long been a hot issue in modern game development; people have no idea what to study, where to study, how to turn regular specialists into game development specialists. After all, while programming skills or knowledge of, say, C#, are great, important, necessary things – but a specialist has no use for them if they’re not familiar with a certain game engine. This discussion was our wake-up call, so to say. We wanted to figure out what the main topics are, to find out what others in the industry want to talk about. We’re going to keep working in this area, to make educational content and to find ways to collaborate with universities. Educational programs on game development have only recently begun to appear at Russian universities. How many universities are there today that train game developers? What kind of knowledge do they provide? A.M.: There are still very few such programs in Russia. I doubt that they would teach programming students about game engines, for instance – those programs are set in stone and they probably don’t have the hours to spend on game technology classes. As for specific fields, like game design, these practically aren’t taught anywhere. A Master’s Degree program is opening at ITMO this year. A Bachelor’s program is being developed at Moscow’s HSE. There are also some courses out there, which, however don’t classify themselves as educational programs. The issue here isn’t about having or not having such programs, but about their use in the industry – meaning how well would the graduates of such programs be met on the market. And that’s where it really gets bad. Andrey Karsakov, Research Associate at ITMO University’s eScience Research Institute and Lecturer at High Performance Computing Department: There is also a Bachelor’s program at the Moscow Polytechnic. There are programs outside the capital region, too. For example, a Master’s program on Technologies of Game Development was launched at South Ural State University (Chelyabinsk) in 2012; at the time it was the first such program in Russia. In addition, there is also a Master’s program at the Kant Baltic Federal University (Kaliningrad); it’s a linguistics program that focuses on the multicultural aspects of games, localization, linguistics and the fields dealing with educational computer games. But still, these are just solitary instances. In general, knowing the amount of talent shortage in the industry, it can be said that the number of specialists that are produced by the already-existing programs is highly insufficient for our game industry. What sort of specialists does the industry need and what competencies should they have? A.M.: The industry, of course, wants “ready-made” employees; specialists with a particular set of skills. If, let’s say, a junior-level game designer comes to a company, he’s expected to know at least some things, like the fundamentals of probability theory. Not even maths in general, probability is enough, as well as some other elements that are required from a game designer. Employers don’t really need them to know math, what they do need is someone who can prototype – work with scripting, do basic programming and to be familiar with the technology – modern game engines that power most projects, such as Unity, Unreal Engine, etc. – the list is quite long. It is also necessary for them to have at least some experience with these things, a project or few in their portfolio. This is mostly what happens at the various courses: students are given some technology like Unity and are taught how to use it. Then they make their own project – something they can take to a potential employer and show the result of their work, to prove that they can do perform all the necessary stages on their own, that they know the ins and outs of development. The courses also tend to teach students about Agile or Scrum (agile software development frameworks – Ed.) and the basics of development methodology. The question is: how can this same system be upscaled into a full-fledged higher education program? And just how far can higher education raise the bar of quality? After all, a diploma means nothing in that business. If you’ve got a degree in culinary arts, but have the necessary skills and experience in project design, someone will take you anyway. How can higher education raise the bar? And how, for instance, would a Master’s degree at a university differ from a shorter course or from the experience of self-taught developers? A.K. : This is a classic chicken-or-the-egg situation. “I don’t get hired because I have no experience, but I don’t have experience because I don’t get hired”. This is why for ITMO University’s new “Technology of Game Development” program, which we’re launching this year, we will focus in great part on practical approach and have the students involved in their own projects where they can accumulate experience while they study. By the time they graduate, each student will have at least one or, perhaps, several projects in their arsenal. Master’s Degree programs also provide a higher level of education, whereas courses or Bachelor’s programs simply give their students a widely-used regular shovel and tell them to dig. We want to provide in-depth knowledge in all the key areas – from artificial intelligence and graphics to project management and marketing. It’s also important to maintain a research approach to tasks – to find ways to “soup up” your shovel to turn it into an excavator. And, of course, the knowledge of the inner workings is important for everyone. Even someone doing graphics – a modeler or an animator, should not only be good at what they do, but to also know how to be a part of the production pipeline, to automatize things, be flexible when changing tools and making one’s own tools, like programming scripts, for example. We want to put all this knowledge together and provide it to our Master’s students, all while giving them an opportunity to gain practical experience in the process. All this will happen in close collaboration with the industry. Students will be able to intern at game companies. Large companies or small independent studios? A.K. : Both. Indeed, both of these categories are currently suffering from lack of highly qualified personnel. Just recently I spoke to a large developer who only works with large and successful projects. And these kinds of developers straight up say that they just don’t have the resources to spend their experts’ time on training the newcomers. For that reason, large companies that work on major projects are interested in trained professionals who don’t need to be educated on any minor thing. If a game logic programmer comes to work there, he needs to already know everything that is expected from him, to adapt quickly and to produce results as soon as possible. We’re aimed at training just that kind of specialist. Then they can apply their skills in large companies, in independent studios or even on their own projects. Where would you say it’s better to start out as a young developer: at a small indie studio where they’ll have more tasks and more opportunities to apply their skills, or at a large company with high-profile projects? A.M.: This is a difficult question and I think there is a decisive answer. On the one hand, our industry hasn’t yet reached the stage of stagnation. Sure, platforms are becoming filled up with a large number of projects, they are becoming more and more segmented, but there are still niches to be filled. Small projects still can take off and their developers may earn something from it – experience, primarily, as well as publicity. There are cases where 18-19 years-old developers get their apps featured on the Apple Store and earn enough money and reputation to easily get a job at a company. However, that doesn’t happen very often. There’s less risk involved in first joining a company and then developing your product. The Russian indie market: aside from scale, how else is it different from the western market? A.M.: We’re ahead of them in some aspects and lagging behind in others. For instance, there is a dire need for better infrastructure in regards to communication and interaction between each other on the market. It so came to be that our indie developers are much less socialized and there’s a lack of communication between publishers, investors and the developers. This was the main reason why we began our game development community two years ago. I think we can expect a gradual improvement in in this area. The community is growing. 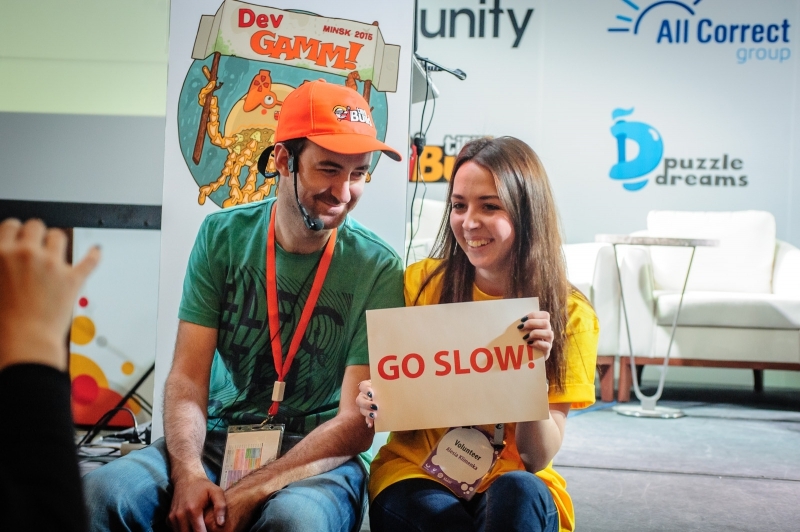 We went to DevGAMM (largest professional game conference in CIS region – Ed.) not long ago where we met a development team from Novosibirsk; they’re developing their own community in that region and they would like to collaborate with us. In early June, we visited White Nights and spoke to representatives from the Kalinigrad community. There are counterparts in Yekaterinburg, Moscow, of course, other cities. As for what’s beyond the Ural and further into Siberia – we’ve yet to explore that area. Speaking of future developments: at the last DevGAMM there was a lot of talk about neural networks and how they might change the gaming industry in near future. For example, Sergey Orlovskiy, CEO of Nival (one of Russia’s oldest independent game companies – Ed. ), thinks that neural networks will be able to do quite a few things in games and perhaps even make bots near humanlike. What do you think? A.M.: It’s hard to predict anything right now. There used to be a lot of hype about the VR market. Yet how has that turned out? VR has mostly gone into the B2B sector and is only present in B2C in the entertainment industry. Like, maybe, real estate companies that let clients take virtual tours of apartments. Educational projects, too. But not gaming. There is still hope for VR, but this is how it is right now. There is such a thing as inertia. And it’s hard to tell how long that inertia will last, how much time must pass before a certain technology becomes integral to the industry. Yes, there is technology, there are neural networks, but they were there years ago, too, they grew but they weren’t used much. Even the aforementioned Nival launched their Boris – an AI for “Blitzkrieg 3”; practically one of the first uses of neural network technology in game development. Some tried to use the networks not as is, but to apply them in creation of behavior algorithms. But these were just singular cases. A.K. : I doubt the use of neural networks at the “surface level” will be well received. Yet at the internal levels, they’re quite enthusiastic about using them. Take animation – neural networks are being taught to recreate the smoothness of movement for characters for a good-looking, realistic performance. They’re used in texture generation, too. However, I repeat: this is a low-level use of neural networks at content production level, not a direct human-to-network interaction. I think this kind of application will see development and widespread use. How will this affect people in these positions? A.K. : You’d still need to record source animation from motion capture and, besides, all this need to be compiled together, neural networks need to be taught, too. Certain occupations will simply be replaced with slightly different ones. I don’t think this is the sort of situation where we have to worry about “machines replacing men”. People will simply move to a different area of work. A.M.: And their level of education will need to grow, too, since, obviously, new technologies require a new level of knowledge. Moreover, it’d need to be qualified knowledge. Thus the level education will rise, too. VK Fest is happening in a few days. Just like last year, a large section of it will be dedicated to game development. What are some of the new things we’ll see there this year? Maksim Lusta, programming director at Game Planet fest: This year’s VK Fest will be completely different from the previous one. The game zone will be expanded, too. Last year we had a large indie zone, a few developers with small booths and a professional cybersport venue. This year there are going to be large zones for major developers like Blizzard, Warner Bros and others. The indie zone will still be a major part of it. And, for the first time, there will be a section dedicated to game development education. Guests will have the opportunity to learn about it and take part in workshops. Of course, people come to VK Fest primarily to enjoy themselves, listen to music, those kinds of things. Still, there will be those who will find this topic interesting, who will come and find out about the new opportunities. The educational zone will be right next to ITMO University’s area. A.K. : We want to keep in mind the event’s format and avoid any long and boring presentations. We want to present some of the student-made game projects to draw in guests and to show them the game development can be interesting and is something that can be a part of their education. There will also be contests and quizzes, talks by university representatives involved in game development. We hope that everyone will learn something useful and find out how, where and when they can learn about game development. Gutenberg’s Lounge: Human-like Intelligence or a Spotless Mind?